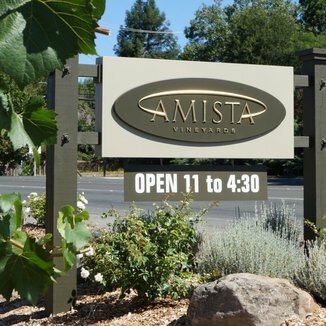 Amista wines have been the smash hit of the year. 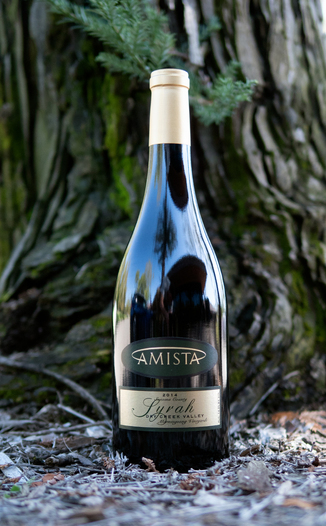 During our previous two Amista features, our Operatives bought every last bottle we had - and in short order. No wonder, as our Operatives know a great wine and a great deal when they see one here. 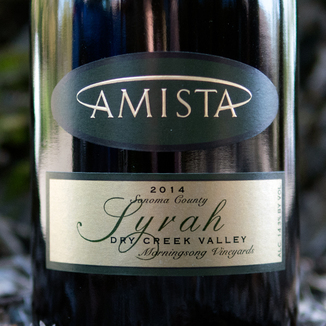 Today’s Amista Vineyards 2014 Dry Creek Valley Morningsong Vineyards Syrah was the hit of our recent tasting panel. It has a medium density with a beautiful dark ruby coloration with a magenta hue at the edge. It’s got a wonderful bouquet of blueberry, lilac, black currant, cassis, and sandalwood. The palate is immersive, with dark brooding fruit such as black plum, black currant, pomegranate, and fig, with a spicy red pepper note. It’s got gravitas with some serious tannin to drive the dark flavor profile, yet the edges are soft and well rounded. It would be divine with a rack of lamb seasoned with rosemary on a bed of fingerling potatoes. 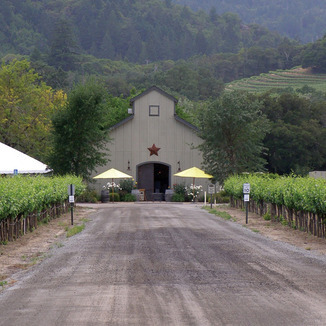 The Dry Creek Valley AVA in northeastern Sonoma (north of Healdsburg) County is somewhat warmer and wetter than the neighboring Russian River Valley AVA region just to the south, and the Alexander Valley AVA just to the east. The warmer and wetter climate provides great versatility with regard to the types of grapes that can be effectively cultivated in the region. Medium density with a beautiful dark ruby coloration with a magenta hue at the edge. Blueberry, lilac, black currant, cassis, and sandalwood. Black plum, black currant, pomegranate, and fig, with a spicy red pepper note. Serious tannin to drive the dark flavor profile, yet the edges are soft and well rounded. Rack of lamb seasoned with rosemary on a bed of fingerling potatoes.